At Rev, we understand that a lot goes into creating video content. Beyond production, it’s also important to consider how to caption video content and where to host it. After YouTube, Vimeo is the second most popular video hosting channel. With this in mind, we built seamless caption integrations for Vimeo and YouTube. Why would someone choose to host their videos on Vimeo instead of YouTube? A couple of reasons. Vimeo is free of ads and makes it possible to replace video content without losing important stats. In general, Vimeo also tends to attract a more supportive community of users who offer constructive feedback on videos. Adding closed captions to videos is considered to be a best practice for many reasons. Most of all, captions improve accessibility and SEO ensuring that video content reaches a wider audience. What’s the easiest way to caption Vimeo videos? The easiest way to caption Vimeo videos is to do it yourself or to use a captions integration. As an approved captions and subtitles partner of Vimeo, we offer a full-service caption integration with their video hosting platform. Just choose the Vimeo option when ordering captions on rev.com and all of your public videos will be available for captioning. You can pull them directly from your Vimeo account to Rev. What are the benefits of using a Vimeo captions integration? Not only are videos captioned by professionals but those captions are uploaded directly to your video the second they are done, eliminating a lot of time-consuming admin work. 1) Go to the Order Captions page. 2) Click “Vimeo” to use our integration. 3) Give rev.com access to your Vimeo account. This is a secure system that allows us to download and upload your videos. 4) Select the videos you’d like to have captioned. Then, click “Add Selected to Cart”. 5) This is where you have the option to automatically sync your Vimeo account with Rev for caption delivery. 6) Complete the checkout process. But first, select your “Output File Format”. 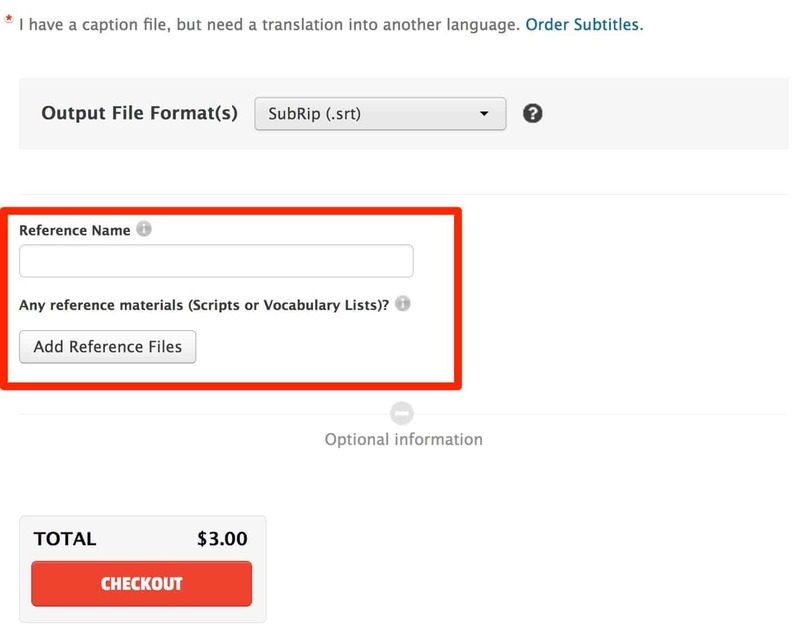 If you have a caption file but need a translation into another language, there’s an option to order subtitles here too. 7) Click “checkout” and your caption order will be placed. Now you can go about your business while we handle the rest for you.